First stage, second stage, and octopus life-support systems. BCD jackets, harnesses, weight systems, and wings. LED, HID, and back-up lights. Aluminum, steel, and pony tanks. Computers, depth gauges, compasses, and SPGs. Spearguns, pole spears, bands, and tips. Lighting gear and underwater housing for cameras. Wetsuits, drysuits, gloves, hoods, and boots. A variety of other essential pieces of equipment. Divers Two offers the full range of dive gear for sale, from fins to regulators, masks to BCDs. D2 sells only the best equipment in diving at excellent prices, including the gear listed below. For more info on the gear we sell, stop by the shop or call us at (732) 776-7755. Under the following sales categories, click the scuba brand name to learn about each company's equipment offering and selection. 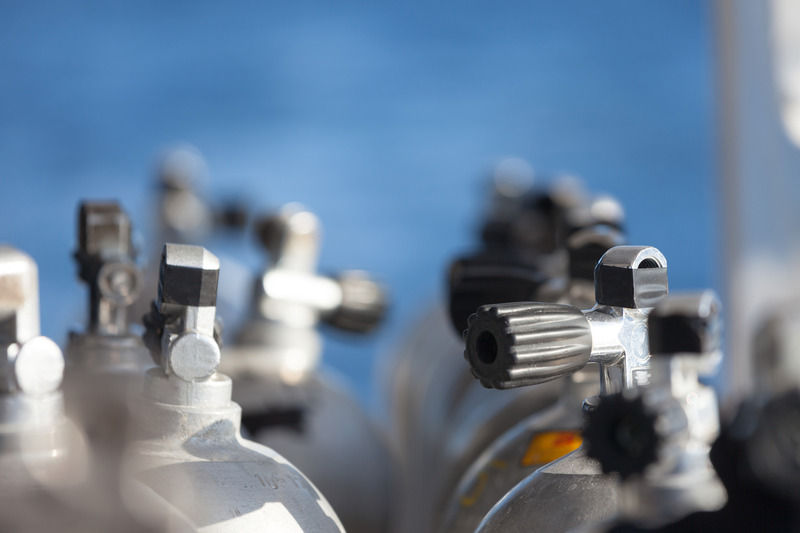 In addition to selling the best gear available, Divers Two is committed to providing the best rental equipment for its students. All divers must own their mask, snorkel, and fins, plus hoods and gloves for cold water diving. All other gear can be rented from the shop, in all sizes, including regulators, BCDs, wetsuits, weight, and tanks. Drysuit $85.00 – MUST BE DRYSUIT CERTIFIED!